Sew! Can! 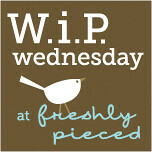 Kenna: WIP Wed! Where does the time go?? I know I say that with every blog, but seriously! It's WIP Wed and I look at it as a day to talk about what I HAVEN'T been working on!! 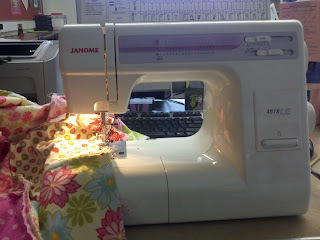 I have this vision of a handmade holiday, and so I've got to get crackin...my new plan (since I don't seem to have time to sew at home) is to get some sewing done afterschool every day, sitting in my quiet, distraction free (Ha!!) classroom. So the other day I brought in a rag quilt that I started last fall for my cousin's birthday LAST November. (I have one almost identical and she loves it and threatens to steal it every time she comes over. Now she will have her own). and I got to work. I did realize something about two stitches in. There is a VAST difference between this simple mechanical sewing machine and my electronic at home even though they are both Janome sewing machines. This machine is slow. It's clunky, and it does NOT stay threaded!! It seriously needs an 7- 8 inch tail to stay threaded!!!. I also realilzed how spoiled I am...my machine has a bobbin sensor that tells me when my bobbin thread is low. Mine is a smooth push button operation with needle up. Mine is a cadalliac....this is a Kia. Functional, practical but lacking the luxury. 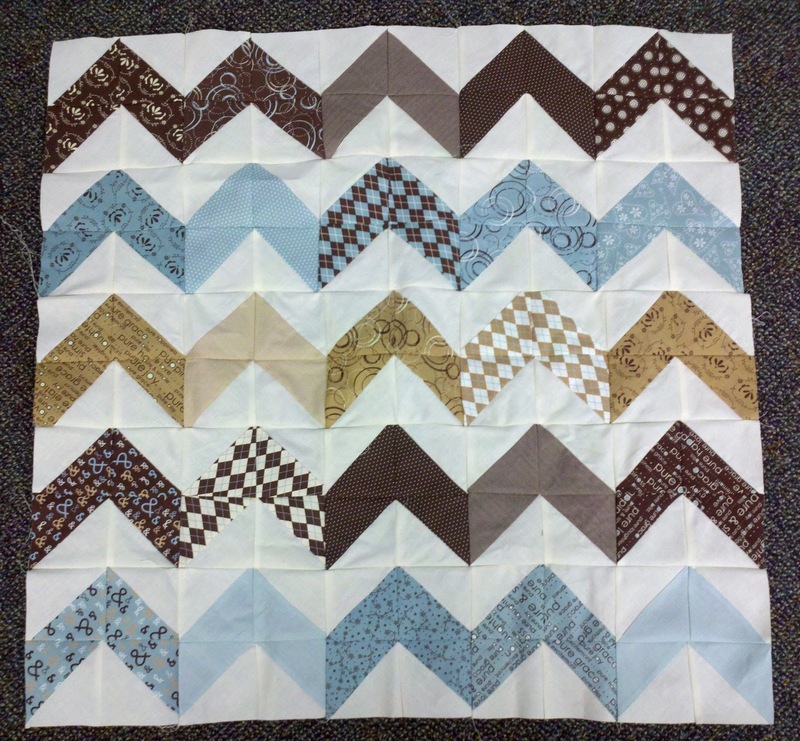 However the machine does work, and I was able to get the whole top pieced in about an hour. I'm not 100% sold on the layout, but I'm not about to pu ll it all out!! So I started the clipping on the road trip we did this past weekend and it's half clipped. Now I just have to motivate myself to clip the OTHER half before Nov. 1. And wash it. And give it away. THAT'S going to be the hard part. I LOVE flannel quilts. Giving them away is tough. My other WIP'S seem like they are becoming UFO's. I need to dig those out and FINISH them instead of just lugging them around. I keep starting new projects instead of finishing them ones I started. And really it's still at that point. I need to press my seams and get going. It's in a box (the one the fabric came in) and being ignored in my sewing room. maybe I'll just border it and quilt it out and see what I can do. Maybe i'll use buttons or something on the wonky seams so it's a finish. 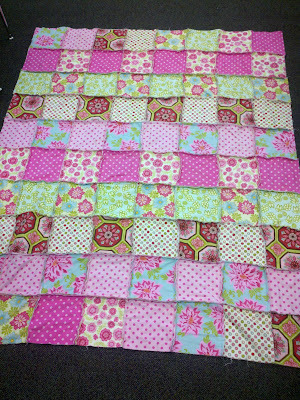 And as embarrassing as this is....THIS quilt only needs a binding. Once you get the hang of it, it's QUICK and easy and I don't have slippage issues because I go in and out....it took some getting used to, but ohhhh is it ever better than pins!!! "Mine is a Cadillac...this is a Kia" Love it!! The Kia-made blanket looks nice and snuggly, I'm sure your cousin will love it! The rag quilt is cute! 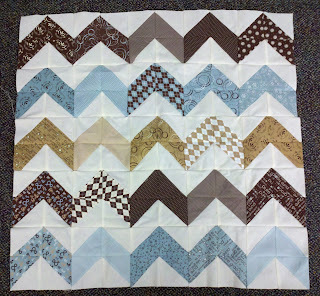 As for the quilt that only needs binding...well, you'll get it done and it will motivate you for the next project! Good luck! One of my WIPs this week also involves Pure. Love that line! I also like how you did it up, the pattern shows it off well! I have mine, well, in a postage type layout! It looks like you have a lot on the go, but it looks great!